Hello girlies! 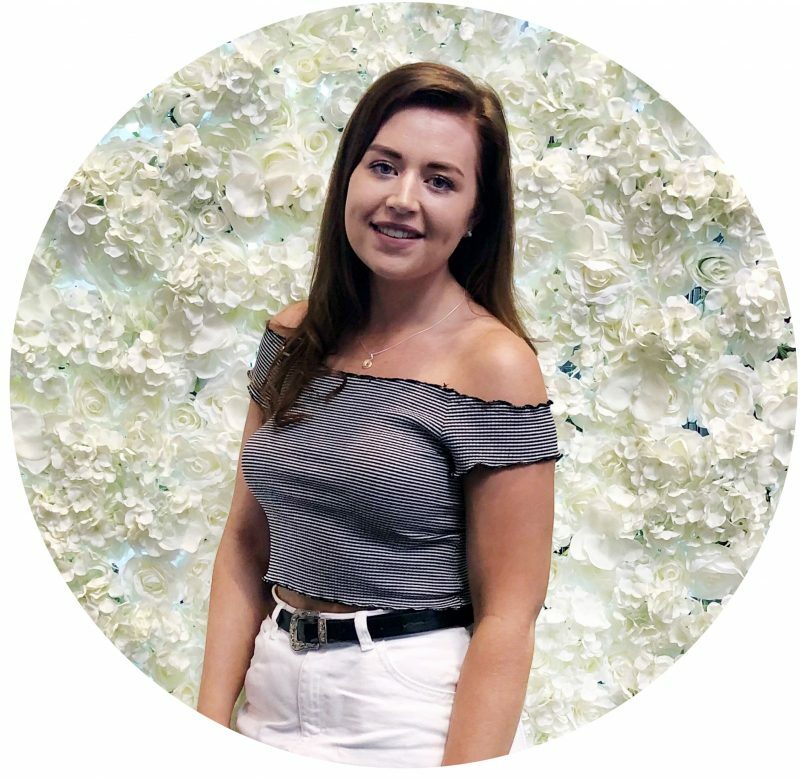 Another blog post to make up for the lack this week and it’s another haul, you’re all going to get sick of my hauls seeing as I post at least one a week! 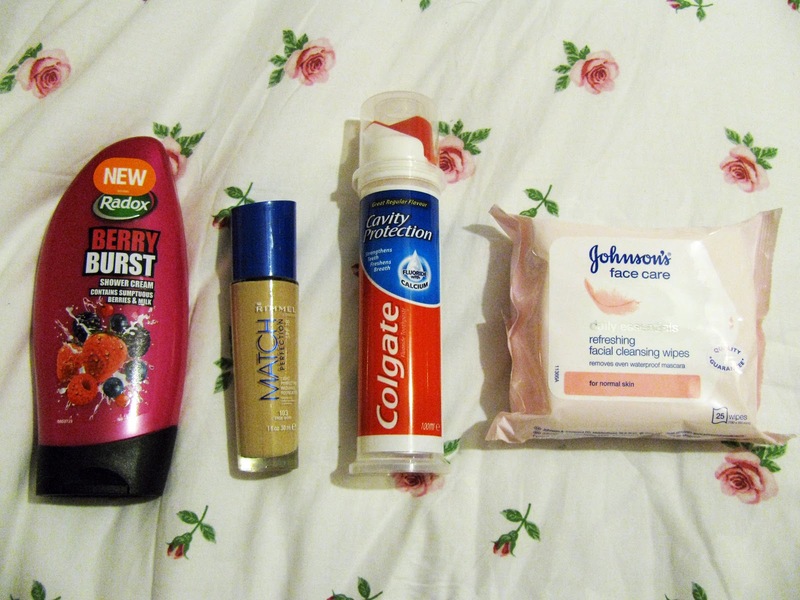 As my car was having it’s MOT I needed to kill an hour so I walked into town as it was only a short walk from the garage and I ended up buying some things, oops.. but I leave for my placement in London on thursday and I did buy things that I do genuinely need (trying to convince myself and you there). 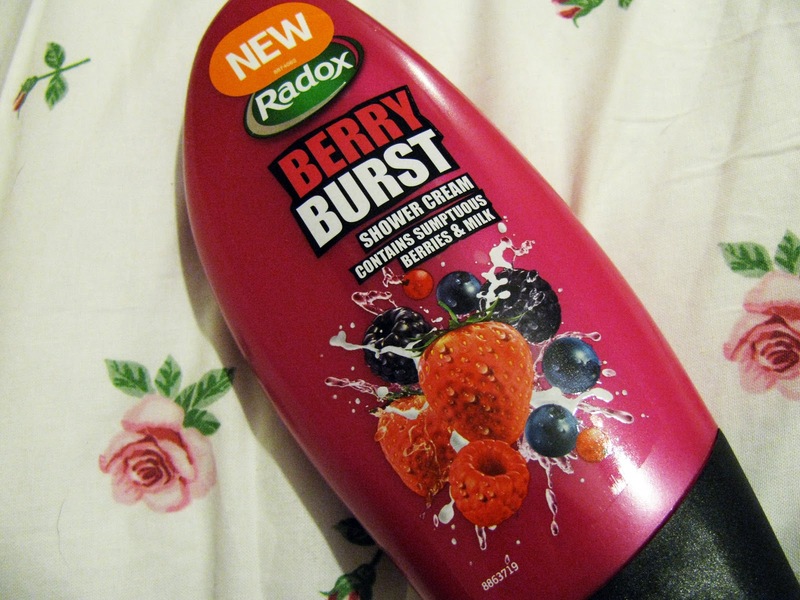 Radox Berry Burst Showergel: I picked this up from Wilkinson as it was on offer from £1, which I do need as I’m going to be staying with a friend whilst i’m in London I need to take my own showergel and I really liked the scent of this shower gel, it is exactly what it says on the packaging ‘berry burst’ and I love Radox bathing products they are so affordable and come in some really nice scents. 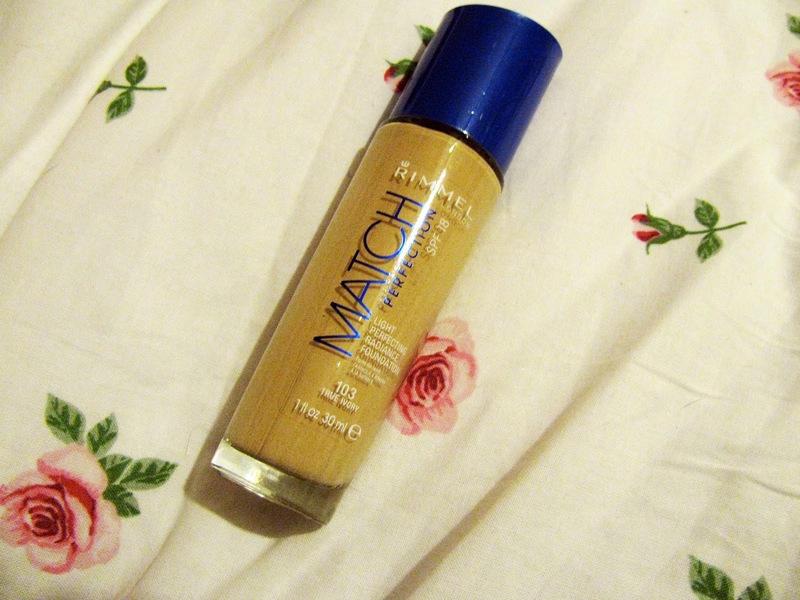 Rimmel True Match Foundation: Again I picked this up from Wilkinson as it had £2 off it and I noticed the other day that my current ‘Wake Me Up’ Foundation is not going to last me a month whilst in London and as so many bloggers are raving about this foundation I thought why not!? I bought this in shade True Ivory as they didn’t have any Ivory bottles left but thank fully this shade does actually blend really well with my skin and isn’t too dark. 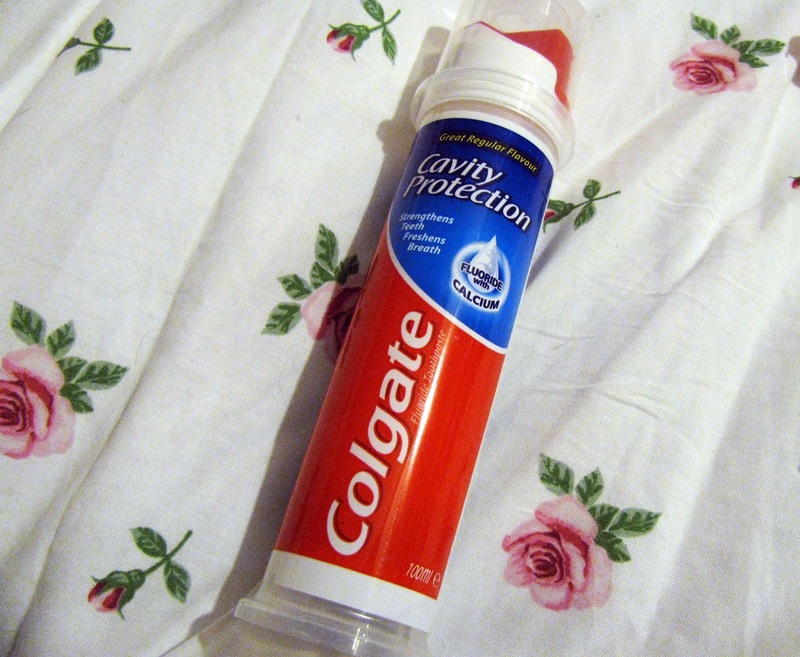 Colgate Cavity Protection Toothpaste: This one is really simple, I literally have zero toothpaste so I was in need of a new tube and this was only £1 so I put it in my basket. Simples. 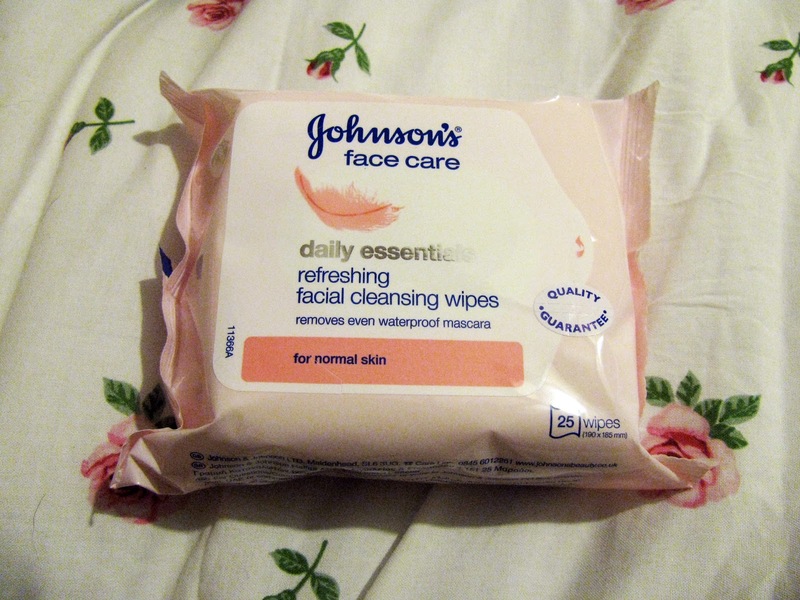 Johnson’s Face Care Face Wipes: Again another really simple one, I’m running low of face wipes and these again were on offer for £1 (I think) and I’ve never tried out the Johnson’s range of face wipes but I thought ‘why not, they’re on offer’. Good old Wilkinson! Primark Floral Makeup/Wash Bag: I came across this really cute washbag in Primark and as i’m going to be taking a large bulk of makeup to London I was in need of a decent size makeup bag and this one seemed perfect and it was only £3. Now I did also buy two necklaces from Newlook, but the one has broken already 🙁 and the other I seem to have misplaced so I couldn’t take any pictures of them but I will feature them in some outfit looks soon, promise!